It is impossible for any one to pick out an individual and say, "This man is stronger than any other human being in the world." The world is a very large place, and there are hundreds of "Strong Men"; some of them professionals, and many more of them amateurs. 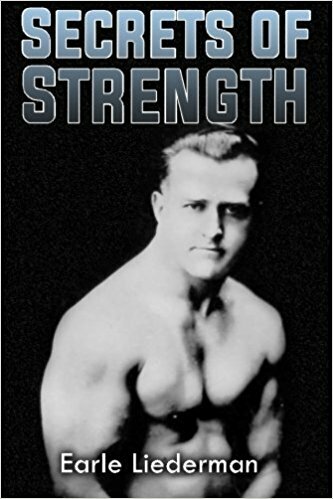 It is impossible to ever determine who is the strongest man; because, in the first place, it would be impossible to bring all the "Strong Men" of the world together; and in the second place, it would be very difficult to arrange a program of strength test which would be fair to all the competitors, skilled and unskilled. When a man is extraordinarily strong, it frequently happens that he is lured into the professional ranks. Consequently, the best known "Strong Men" are professionals. Several years ago I wrote an article for the Physical Culture Magazine, in which I stated that the three strongest men of recent times were Louis Cyr, of Canada; Apollon, of France, and Youssoff, the gigantic Turkish wrestler. I should have qualified that statement by saying that these were the three strongest men who appeared publicly. There are men in Canada today who swear that the amateur, Horace Barre, was just as strong as his professional friend, Louis Cyr. Mr. Jowett says that the amateur, La Vallee, is stronger than either Cyr or Barre were. Apollon was a contemporary of Cyr's. The two never met in a contest. Prof. Des Bonnet, the French authority, claims that Cyr and Apollon were stronger than any other men of their time; but the Professor is a Frenchman, and so was Apollon, while Cyr was of French descent. Youssoff, as far as I can learn, was as strong as either of these two Frenchmen, and possibly stronger. The Germans and Austrians have several claimants for the title, and there is today is Vienna an Austrian named Carl Swaboda, who can beat any one in the world in two-arm bar-bell lifting, and lifting with two arms requires more bodily strength than lifting with one arm at a time. Swaboda is the only man in athletic history who has raised aloft more than 400 lbs. in the two-arm "jerk." His record far excels that of Cyr and Apollon. In Finland they breed a race of giants, and in that country there are undoubtedly men who, for brute strength, can compare to the best of any other nation. Eastern Canada is full of "Strong Men," and for that matter, so is this country. I have seen amateurs who could equal the strength feats of any professional on record, if they cared to devote as much time to training as the professional does. 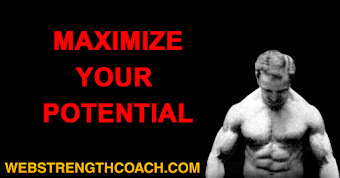 A man does not become strong because he is a professional lifter. It is just the other way about. He becomes a professional because he is strong. And it should be remembered that for every "Strong Man" who exhibits professionally, there are a dozen others in the amateur ranks. 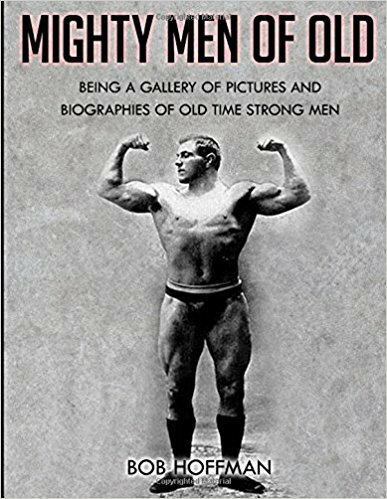 I am personally acquainted with three amateurs of prodigious strength, who are as magnificently developed as any of the perfect men you have ever seen on the stage. Not one of these men will allow me to publish his picture, or even mention his name. One of these men has a 48-inch chest, a 16-inch forearm and a 19-inch calf measurement. I once saw him pick up an 80-lb. steel bar, muscle it out, and then twist the bar from side to side; and I have never seen a professional who could equal that stunt. Another of these men is so strong that he can break any of the "dead-weight" lifting records. 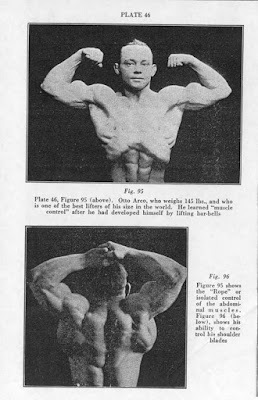 The third man is only of moderate size and weighs but 165 lbs. ; but I believe he can walk with more weight on his shoulders than any other man I have ever seen. There has never been a man so strong that he could far outdo the feats of other "Strong Men." What one man can do, another man in the same class can go very close to equaling. If you get the five best sprinters in the same 100-yard dash, the best man will finish only a foot ahead of the second man; which means that he is only a fraction of one per cent faster. If the best high-jumper can clear the bar at 6 feet 6 inches, the second and third best can do 6 feet 5 inches. The same rule applies to "Strong Men." As a class, these men are two or three times as strong as the ordinary man; but no one "Strong Man" is very much better than other leading "Strong Men." Some of them excel at one lift, some excel at others. Arthur Saxon could push aloft with one arm a bell 20 lbs. 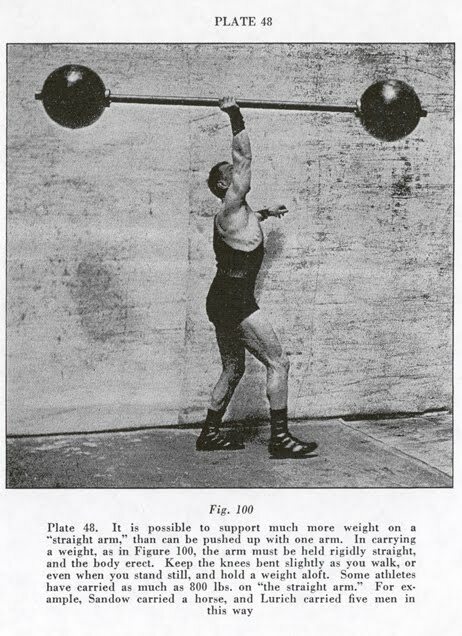 heavier than any other man has lifted in the same manner, but there were a number of men who could beat him at a two-arm lift. 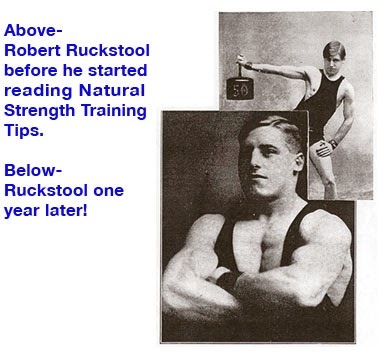 Steinborn is possibly the best man is the world at what we call the "quick lifts"; but there are men who can beat him at "slow-pressing," and other men who could undoubtedly beat him at "dead-weight" lifting; and so on down the list. You can't even decide the question by examining the records. 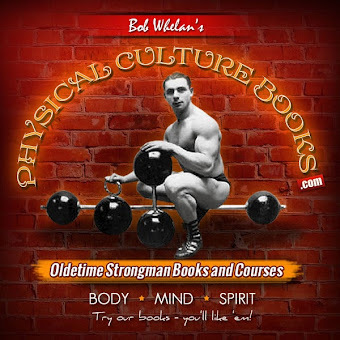 To publish a complete list of lifting records would take several dozen pages of this book, because they keep the records for men of all weight and for all styles of lifting. Many of the world's records are held by amateurs. Joe Nordquest, when still an amateur, broke records made by the professionals, Hackenschmidt and Lurich. The same thing applies to weight throwing. Most of the records for throwing the hammer or throwing the 56-lb. weight are held by amateurs. There is no reason in the world why an amateur should not be just as strong as a professional. You would be surprised if you knew of the thousands of men who by practicing lifting just for the sport of it have become magnificently built. A strength contest is something like these newspaper beauty contests. Every once in a while you see in the papers the picture of some young woman who has taken first place in a beauty contest, and who is announced as "the most beautiful woman in America." And when you see that picture, you say to yourself, "I know half a dozen girls better-looking than she is." The truth of the matter is, that she happened to be the best-looking girl in that particular contest, or at least the judges thought so. You know perfectly well that for every pretty girl who goes in such a contest, there are fifty more girls equally pretty who never even thought of entering the contest; and you can rest assured that for every man who is announced as the "strongest man in the world," there are several dozen others who are just about as strong as he is. 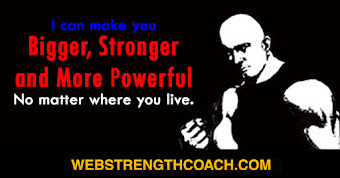 If you were willing to train, you have just as good a chance as the next fellow to become one of the strongest men in the world of your weight; and if you are of average size, that means that you can become almost as strong as anybody, because I have proved in a previous chapter that man who weight less than 150 lbs. have come very close to equaling the best records of "natural giants" who weight 300 lbs. 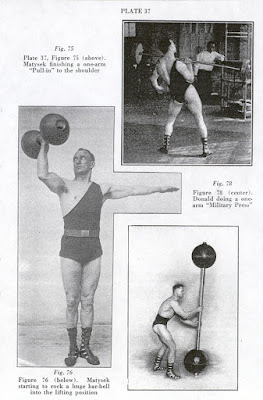 Any man who is willing to devote six months or a year to practicing a progressive schedule of developing exercises can certainly double, and possible triple, his own bodily strength, and that means that in that length of time he will become two or three times as strong as the average man. Bar-bell lifting is a fascinating sport. Almost every one who tries it becomes intensely interested. 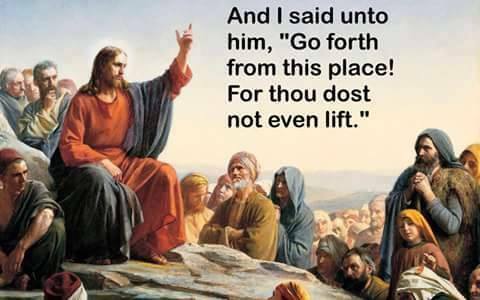 It seems to be a case of "once a lifter, always a lifter!" I know men who began using bar-bells twenty years ago, and who are just as much interested today in feats of strength, and in subjects related to muscular development, as they were on the day they started. But the matter of body-building, health-improvement and muscular-development, is much more important than lifting records. When a man first starts to practice with adjustable bar-bells, it takes two or three weeks to break himself in to the new kind of work; that is, to learn the positions and to accustom his muscles to the more vigorous contractions. As soon as he commences to increase the weight used in the exercises, his body grows in size and weight in almost direct proportion to the increased weight used. His chest gets bigger, his shoulders broader, and his arms and legs commence to put on muscle. Now where does it all come from? If a man at the start has a 12-inch upper arm, and that arm increases to 14 inches in girth at the end of three months and 16 inches in girth at the end of six months, it means that the has almost doubled the amount of muscular tissue in the upper arm. The upper-arm bone would not have grown any longer, so all the increase of the arm is in girth and muscular contents. When you say that your arm has increased from 12 to 16 inches in girth, it sounds as though it increased only one-third in size; but if you remember that an arm of 12-inch girth means a cross section of about 11 ? square inches, and that an arm of 16-inch girth means a cross section of more than 21 square inches, you will see that you arm has nearly doubled in bulk. Since the upper-arm bone is no thicker than before, all that increased bulk is solid muscular tissue; and that means that each individual muscle in the upper arm is nearly twice as big as before. A muscle is made up of a bundle of fibrous tissue. So the question is, "Do the fibres in your muscles become thicker; do they become more numerous; or both?" When you exercise a muscle, part of the tissue is broken down; and when you rest after exercise, the broken-down tissue is replaced and reconstructed by fresh material supplied by the blood. That means that in order to grow, the muscle must be well-nourished as well as thoroughly exercised. The greatest value of bar-bell exercise is its undoubted effect in promoting the vigor of your digestive and assimilative processes; and that brings me around to the question of dieting. I am personally acquainted with dozens of professional "Strong Men," and hundreds of amateur lifters. Furthermore, I have examined the measurement charts and reports of thousands of bar-bell users whom I have never met personally. Among all those thousands, I can't recall a dozen who are "diet faddists." If you use bar-bells regularly - that is, two or three hours a week - you will get such an appetite that you can digest, assimilate and build yourself up on just the same bill-of-fare that the rest of your family eat. It is positively not necessary to confine your diet to certain articles of food; such as cereal, fruit, nuts or vegetables. If you are a thin man and wish to grow bigger and heavier, as well as stronger, you must satisfy the appetite which you have created by exercise. You have to eat enough to repair the ordinary wear and tear of the day, and on top of that, you have to eat enough more to grow on. During the time that your chest is increasing 6 inches, your arms 2 inches, and your thighs 3 inches in girth, you will eat like a growing schoolboy. Why not? The boy is growing rapidly, and so will you be growing rapidly. You cannot add to your size and bodily weight if you deliberately restrict your diet, either in quantity or to particular foods. The human teeth prove that a man can eat either meat, vegetables or grain, and it seems to me that the ordinary individual will grow faster on just the mixed diet that the average housewife provides. Occasionally, a bar-bell user will write to me and say that he is not growing as fast as he expected to, and he will finish up his letter by saying, "And I can't understand this, because I am careful to eat properly." An investigation usually develops the fact that his idea of eating "properly" is to have the juice of an orange and some cereal for breakfast; some vegetables, toast, fruit and nuts for the noon meal; and that his evening meal is a sort of combination of the other two. I can readily see that such a diet might be very helpful in the case of a stout, middle-aged individual who had grown very fat through lack of exercise, whose digestive processes were debilitated, and who wished to reduce his weight by many pounds. But no one could build up real size and muscular development on such a diet. It seems to easy when some one tells you that you can make yourself bigger and stronger just by eating some foods and avoiding other foods. Of course the thing is possible. By eating a malt preparation, either in a liquid or solid form, a scrawny individual can add 20 to 30 lbs. to his weight in a comparatively short time; but then a beer-drinker can do exactly the same thing. In both cases it means that you make a gain of, say, 20 lbs., most of which is soft flesh which you have to carry around, instead of an extra 20 lbs. of muscle which would help carry you around. It is easy for you to come back and say, "But that can't be entirely true. I know a man who is very strong who eats nothing except vegetables," or it may be "nothing except fruit and nuts." My answer to that is that if that man ate plenty of a mixed diet, including meat at least once a day, he would be even stronger than he is now on his limited diet. The amount of strength you will eventually possess will be more dependent on the kind of work you do than on the exact kind of food that you eat. No one nation has a monopoly of "Strong Men." In East India there are "Strong Men" by the dozen, and most of these Hindus live on rice and highly spiced meat dishes. I have seen giant Chinamen who ate nothing but rice. I have seen enormously powerful Scandinavians who seemed to live entirely on fish. There are in the north of Italy some very strong men whose staple diet is macaroni, boiled chestnuts and white bread. I know personally some amateur "Strong Men" in New England who eat almost nothing except pork and beans. I can show you negroes and mulattoes who are magnificently built and very, very strong; if given a choice, they will live entirely on chicken and pork chops. Going to the opposite extreme, there are famous Turkish "Strong Men" who would rather die than eat one mouthful of pork. Super-strength is a matter of bodily proportions and muscular strength, and I am convinced that you can get such proportions and such strength, no matter what kind of food you eat, so long as you do the right kind of muscular work. I am perfectly well aware that there are many people who have no desire to become very strong, although many of them wish to become bigger and better built. To such people it seems a great deal easier to add to the size of the body by eating a certain kind of food than by doing any kind of work. When I first became interested in the subject of strength, most of the lifting records were held by Germans, and the popular idea was that the Germans got their strength by drinking beer. Some of their athletes were enormously powerful just because they are so big and heavy. In the last few years it has been proven that a finely developed man of moderate weight can lift just about as much as the biggest and fattest giant of the beer-drinking type. I believe that a man who takes up bar-bell exercise should drink plenty of sweet milk; eat meat at least once a day; eggs at least once a day, and such vegetables and fruits as tempt his appetite. I can see no reason why one should eat bran, or whole wheat, or cereals, in place of white bread. I believe that a man will get the most benefit out of foods that he likes, and that it is a mistake to adopt a diet composed of distasteful foods. It seems to me impossible that a man can make any great improvement by eating a limited quantity of foods which are so distasteful that he gets no enjoyment from his meals. Providing you do the right kind of exercise and satisfy your appetite, you can eat almost anything. I know one celebrated "Strong Man" who eats ice-cream three times a day, and several plates of it at each meal. The late Arthur Saxon, who was certainly one of the strongest men of your time, used to consume an average of four dozen bottles of beer every day. The only restriction in regards to your diet is that you should indulge only moderately in candy and pastry; but after you have trained for a while you will find that you desire solid foods, and that chocolate and pie will lose their appeal. One time I was visited by a "Strong Man" from the Middle West. He took part in one of your lifting carnivals and created one world's record on that visit. The day after the exhibition we went out to lunch together and he ordered a beefsteak. The waiter brought him a steak about four inches square and nearly two inches thick. Along with it he had three glasses of milk, and he finished up with a dish of rice pudding. When he was through, he said, "You know, Mr. Calvert, we can't get meat like this where I come from. If you keep me here a month and see that I can get a steak like that every day, I'll break every record that was ever made." He claimed that he felt much stronger after eating beefsteak than after eating a meal composed entirely of bread and vegetables. Most "Strong Men" are very deliberate eaters. They chew their food very thoroughly, and sometimes I wonder whether their habit of thorough mastication is not responsible for a large part of their strength. Most men who use bar-bells develop very powerful jaws, and most of them have very good teeth. The strength of the jaw seems to be entirely a by-product of the bodily exercise, because very few of these men ever do the so-called "iron-jaw" lifting. In the same way, their necks get thicker and rounder, even if they do not specialize on neck exercises. If a man has a 44-inch chest, his neck should measure about 16 ? inches; and it seems to be true that if a man increases his chest from 36 to 44 inches, his neck, which measured 14 ? inches at the start, will grow to measure 16 ? inches, even if he never does any "wrestler's bridge" work. Strength of neck and strength of jaw seem to go together. The size and shape of your neck is an indication of your vitality; and it is commonly accepted that a man with a powerful, square jaw has more vital force than a man with a small and weak jaw. It is not necessary to do any special work to develop your jaw, outside of thoroughly chewing the food. Every once in a while you come across some exception which seems to destroy the value of a rule. Most of us believe that a good set of teeth is about as valuable a possession as a man can have. It seems perfectly reasonable to say that without a good set of teeth a man could not become strong. It seems equally reasonable to say that if a man or boy ate candy to excess he would become soft and flabby. A number of years ago a young man of eighteen became seized with the ambition to become very strong, and started training with bar-bells. This youth's mother had kept a candy shop, and when a small boy he had put in his spare time eating candy. When I first knew him all his teeth were in bad condition, and the six teeth in the center of the upper jaw had rotted to such an extent that there were only stumps left. I give you my word that inside of a year's time that young man had gained enormously in strength and had become famous for the beauty of his figure. Later on, he made some amateur lifting records; and still later, some of our best-known sculptors employed him as a model. All of them raved about his build and wondered at his strength. After all this, when he was about to go on the professional stage, he had the stumps of his teeth extracted and now wears a plate. This sort of case is very upsetting to one's pet ideas and theories. One would have thought that a youth who had lost some of his teeth at the age of fourteen, and whose system must have been overloaded with saccharine, would thereby be prevented from making any noticeable improvement. When he took up bar-bell exercise he stopped eating candy, but he did not make any other change in his diet. It must have been the kind of exercise he took which so improved his figure and increased his development. If I had not seen the thing happen, I would hardly have believed it. On any big athletic team, the sprinters and the long distance runners have to train vigorously, and their diet is carefully supervised; but the big weight-throwers train very little, and eat and drink anything they feel like. All they have to do is to practice at their particular lift; that is, "put-the-shot" and "throw-the-hammer" or the "56-pound weight." If you wish to become super-strong, and are willing to take the exercise, and are careful to satisfy your appetite, you do not have to bother any more about your diet than do these big weight-throwers. The truth of the matter is, that as a man develops super-strength in his muscles, his internal organs acquire much greater vigor. Perhaps I have stated the case backwards. It may be that the improvement in the functional power of the organs takes place before the muscles grow in size and strength. Undoubtedly, the muscles would not grow so rapidly unless they were continually supplied with fresh material from the blood. The quality of the blood is dependent on the perfect working of the digestive and assimilative organs, and these organs seem to be stimulated and invigorated by vigorous exercise. Thin, anaemic individuals are said to have a "weak stomach," and no person with a weak stomach can be fundamentally strong. I believe that organs can be strong or weak just as the exterior muscles can be likewise; also that it is possible to strengthen the organs to the same degree to which you can strengthen the exterior muscles. When you use the expression, "a weak stomach," you do not mean that the material composing the wall of the stomach is weak, but that the stomach functions feebly; that is, it does not secrete the digestive juices, nor do its part in digesting the food. A man with a "weak stomach" is easily upset by a couple of glasses of liquor, and is apt to become nauseated either by over-eating of by partaking of certain kinds of food. A man with a very strong stomach is one who can digest anything, and whose digestive functions are so perfect that he can quickly and thoroughly assimilate anything he puts in his stomach. Such a man can consume a very large quantity of liquor without showing the slightest signs of intoxication. Likewise, if he eats a large quantity of very rich foods, his stomach acts so perfectly that the food is thoroughly digested and there are no after-effects. Mr. John L. Sullivan, besides being the champion fighter of his time, was physically one of the strongest men in the world. As a youth, he was a bar-bell lifter and traveled under the name "the Boston Strong Boy." 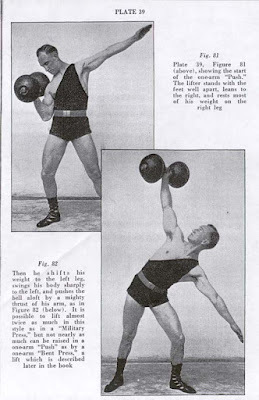 Undoubtedly, his early training with bar-bells had a great deal to do with his tremendous muscular strength, and with the almost unequaled vigor of his digestion. It is related that on one occasion, Sullivan won a bet by consuming one hundred mixed drinks in the course of one evening without becoming intoxicated. Now please do not think that I am suggesting that drinking is the proper thing for a "Strong Man." Sullivan died before he was 60 years old. A few years before his death, he became a violent prohibitionist. If he had used liquor in moderation, he probably would have lived to be ninety. Arthur Saxon's continual and inordinate drinking of beer may have weakened his constitution; although it is said that Saxon's death at the age of forty-eight was due partly to the injuries he had sustained in the War. Beer-drinking is supposed to make one stout; but Saxon never showed any surplus flesh, although it was not an infrequent thing for him to drink as many as one hundred glasses of beer in one day. Besides having a strong stomach, a man of super-strength must be possessed of great vigor in the other assimilative organs, and he must have a solid heart and large, high-quality lungs. It would be the height of folly to exercise just for the sake of getting big muscles on the outside of one's body. Strength comes from within. The saving fact is that in order to get big muscles, it is necessary to have a vigorous digestive system, and in order to fully develop the strength of the muscles, it is necessary to have a sound nervous system, sound heart and powerful lungs. Any system of training worthy of the name strengthens the inside of the body, as well as the outside of the body. I have seen men with weak stomachs, poor digestion and low nervous force so change themselves by properly graded progressive exercise, that in the course of a few months they acquired the digestion of an ostrich, great nervous force and, at the same time, increased their bodily weight thirty or forty pounds; and that weight was all good, solid, muscular tissue. I have seen fat men start with a 40-inch chest measurement and a 48-inch waist measurement, and without dieting increase the chest measurement to 44 inches and reduce the waist to 34 inches; and, what is more, I have seen these men hold their gains for years and never relapse into being very fat or very thin, even after they discontinued their exercise. A workman who spends eight hours a day using a pick and shovel, or a lumberman who swings an axe and carries heavy logs for the same amount of time, can, and does, eat an amount and a variety of food which a slender, indoor workman would find impossible to digest. It should be remembered that workman is continually leaning over, both directly forwards and to the side, and that he is continually using the muscles of the loins, the sides of the waist, and the front of the abdomen. Those muscles form the wall of the lower body and enclose the digestive organs. 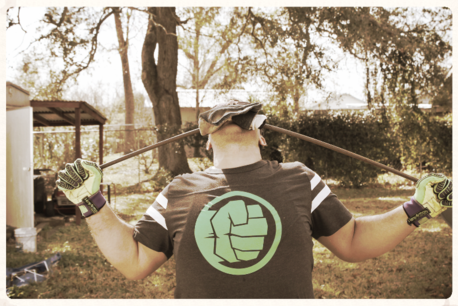 Every time you bend over and pick up a weight, whether it is one end of a log, a shovelful of dirt, or a 50-lb. bar-bell you call into vigorous action those muscles of the waist region. The continued bending massages, compresses and shakes up the digestive organs, and the continued work develops the muscles in the neighborhood of the organs. A large, well-developed muscle draws more blood to it than does a small, undeveloped muscle. Men who have a fine set of muscles around the waist never suffer from digestive troubles. Such common ailments as "gas on the stomach" (flatulence), and constipation can be permanently banished by developing the muscles around your waist. As you develop the "washboard pattern" of muscles on the front of the abdomen and stomach, the intestines will become able to do more and better work. While you are developing the muscles on the small of the back and those at the sides of the waist, you're adding to the tone of your liver. Such exercises as those shown in Figs. 32 and 33 are much more effective in curing constipation than shaking up the liver by horseback riding. The exercises which strengthen the muscles which lie across the loins and near the lower part of the spine greatly augment virility. 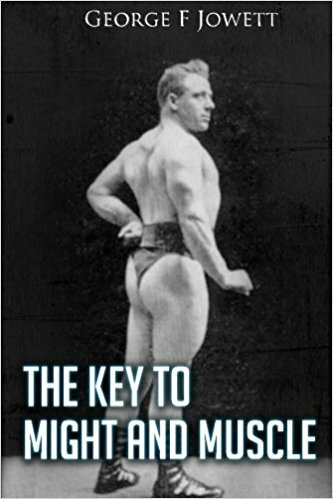 This is a subject which cannot be discussed in this book, but any user of bar-bells can tell you that remarkable increase in vigor comes from developing the lower part of the back. Men who are thin and undeveloped really suffer from some form of malnutrition; that is, the assimilative organs fail to draw the proper nutrition from the food, and that means that the blood quality is poor. Most excessively stout men are in that condition simply because they neglect to use the muscles of the waist, although it is true that some men are fat because of the improper working of some gland. The ordinary stout man can reduce his waist by the same exercises which build up the figure of the thin man. Fat cannot exist in, or near, an active muscle. That explains why some stout men have slender arms and slender calves long after the rest of the body has become hung with fat. The forearms and calves of the legs are the only parts of the body which they use continually. In conclusion, I wish to say emphatically that in order to be super-strong a man has to be super-healthy. If you train properly, so as to increase the vigor of your internal organs at the same time that you are increasing the exterior development, you will get the kind of muscle that will stay with you the rest of your life, and you can create an upright, shapely figure that will not become bowed and enfeebled until extreme old age.